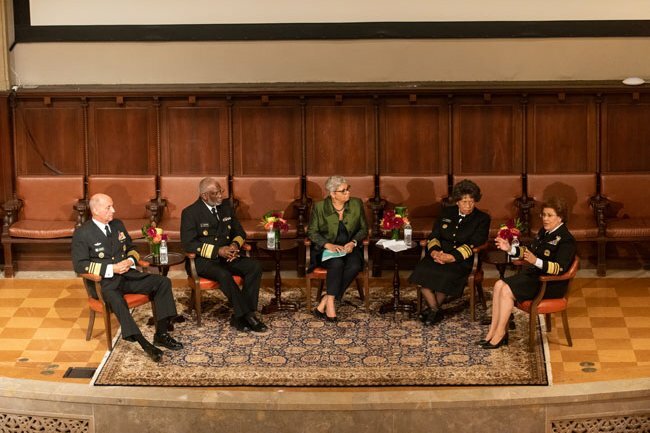 On October 15, 2018, the Academy hosted an intimate conversation with former U.S. Surgeons General Drs. 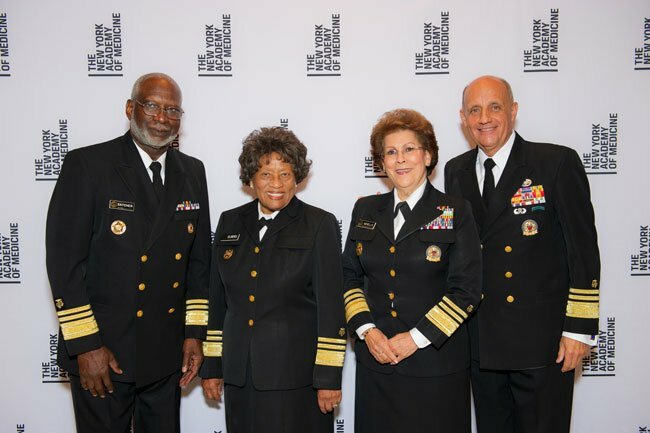 Antonia Novello, Joycelyn Elders, David Satcher, and Richard Carmona. 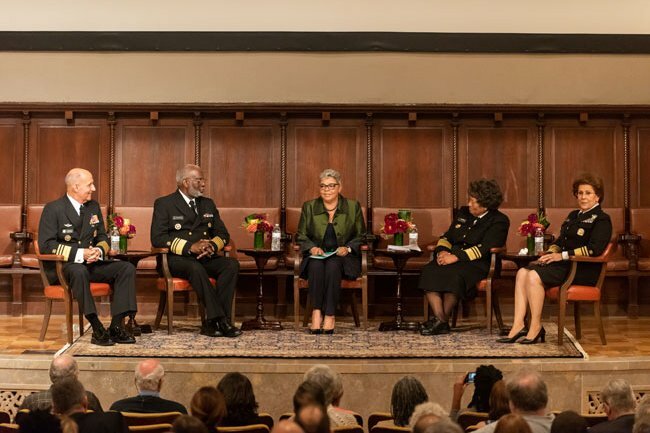 In a lively discussion moderated by Dr. Freda Lewis-Hall, these four public health trailblazers spoke about key issues and what it takes to ensure the health of a nation. Click below to view photos from the evening. 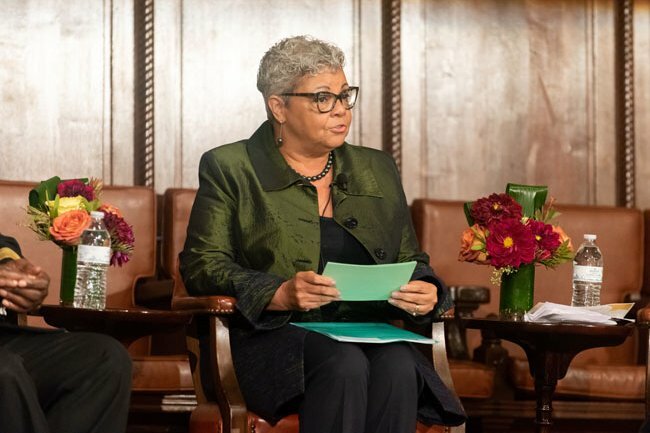 Executive Vice President and Chief Medical Officer, Pfizer Inc.
Freda Lewis-Hall serves as Pfizer’s Chief Medical Officer and leads Pfizer Medical, the division responsible for the safe, effective and appropriate use of Pfizer medicines and vaccines around the world. Besides providing science-grounded medical information to prescribers and patients, Pfizer Medical is also responsible for the company’s office of patient affairs, its centers of excellence on pediatric care, clinical trial diversity and healthy aging, its enterprise benefit-risk communications, its worldwide compassionate access program as well as driving innovative public-private partnerships. Dr. Lewis-Hall is a Distinguished Fellow of the American Psychiatric Association. She is a frequent speaker on issues such as improving patient safety and outcomes and reducing stigma and healthcare disparities. She appears regularly on health-related television programs in major global markets, including CBS-syndicated shows such as The Doctors and Dr. Phil. She also shares health and medical information through GetHealthyStayHealthy.com. Dr. Lewis-Hall currently serves on the boards of SpringWorks Therapeutics, Dell Medical School at the University of Texas at Austin, Harvard Medical School, and the Patient Centered Outcomes Research Institute. Antonia C. Novello, M.D., MPH, DrPH 14th Surgeon General of the United States Dr. Antonia Coello Novello was born in Fajardo, Puerto Rico. She graduated from the University of Puerto Rico with a B.S. degree in 1965 and an M.D. degree in 1970. She completed her subspecialty training in pediatric nephrology at University of Michigan and Georgetown University. Dr. Novello received a masters in Public Health from the John Hopkins School of Hygiene and Public Health in 1982 and a Doctor of Public Health in May 2000.? She holds countless awards. including the Legion of Merit, The James Smithson Bicentennial Medal, and the National Governor's Association Distinguished Service to State Government Award, as well as a membership in the Alpha Omega Alpha Medical Society and Institute of Medicine of the National Academy of Sciences to name a few, and over 56 honoris causa. In 2011, Dr. Novello received the Don Quijote Lifetime Achievement Award. 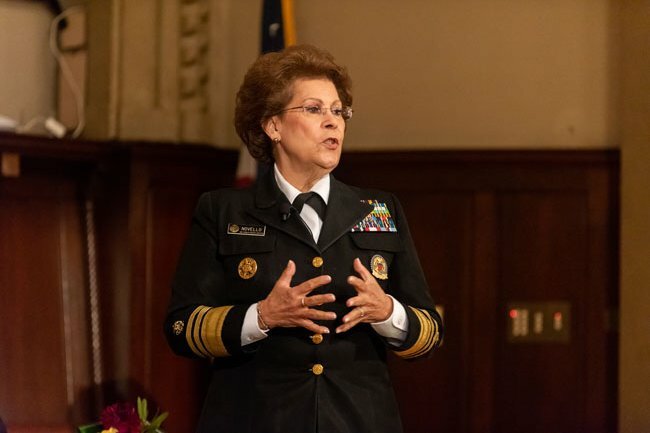 On March 9, 1990, Dr. Antonia Novello was sworn in by Supreme Court Justice Sandra Day O'Connor to serve as the 14th Surgeon General of the U.S. Public Health Service. Her appointment marked two firsts: Dr. Novello became the first woman and the first Hispanic ever to hold this position.? 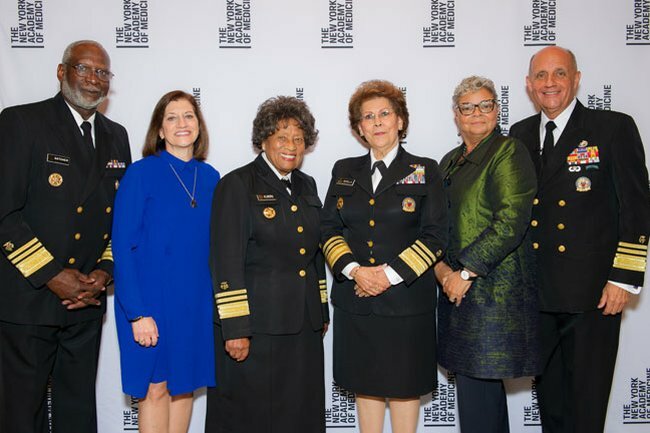 As Surgeon General, Dr. Novello advised the public on health matters such as smoking, AIDS, diet and nutrition, environmental health hazards and the importance of immunization and disease prevention. On June 3, 1999, Governor George E. Pataki nominated Dr. Novello to be the 13th New York State Health Commissioner; one of the leading health agencies in the nation with a $49 Billion budget - one-third of the whole NY state budget. Most recently, Dr. Novello served as the Executive Director of Public Health Policy at Florida Hospital. She served as liaison between the government of Dominican Republic and its Attorney General on raising the awareness of domestic violence and spearheading efforts for national legislation, invited by the US ambassador to the Dominican Republic. Currently she is helping in the reconstruction of Puerto Rico after Hurricane Maria. 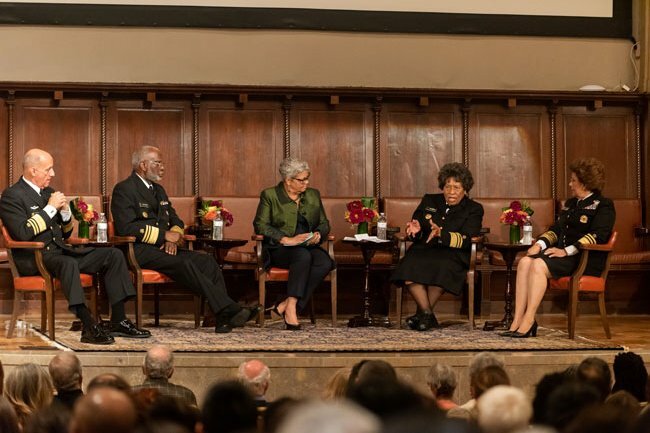 M. Joycelyn Elders, M.D., a UAMS emeritus professor of pediatrics and distinguished professor of public health, was the 15th U.S. surgeon general and the first African-American, second woman and first Arkansan appointed to the post. Born in rural Schaal, Arkansas in 1933, Dr. Elders was the oldest of eight children in a family of sharecroppers. At age 15, she graduated from high school as valedictorian. She then attended Philander Smith College, graduating in three years, followed by serving in the U.S. Army. In 1960, she graduated from the University of Arkansas School of Medicine (now UAMS College of Medicine) and was the only woman in her graduating class. Dr. Elders was inspired to become a doctor after attending a lecture by Edith Irby Jones, M.D., the first African-American to attend UAMS. After an internship at the University of Minnesota, Dr. Elders returned to UAMS to serve a pediatric residency and chief resident, followed by a pediatric research fellowship. She earned a master’s degree in biochemistry from UAMS in 1967, then joined the pediatric faculty. In addition to her clinical practice, she conducted research in pediatric endocrinology, publishing more than 100 scientific papers. Dr. Elders served as director of the Arkansas Department of Health from 1987-1993. 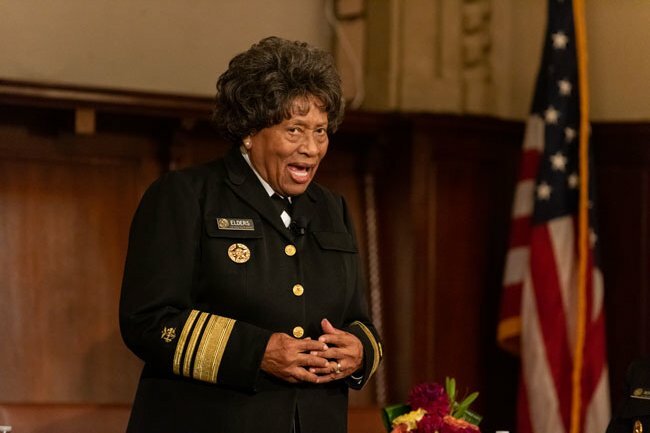 During her tenure she nearly doubled childhood immunization rates, expanded the state’s prenatal care program, and increased home-care options for the chronically and terminally ill.
She was appointed U.S. surgeon general by President Bill Clinton and served from 1993-1994. Dr. Elders continues to advocate for access to health care as a fundamental right. Her work as a pediatric endocrinologist led to her advocacy for adolescent health and reducing rates of substance abuse and pregnancy among teenagers. She continues to be a champion for the poor and disadvantaged, challenging leaders to acknowledge the evidence that there are socio-economic benefits in healthy communities. UAMS honored Dr. Elders with a portrait commissioned by the UAMS Fay W. Boozman College of Public Health in 2015. She was inducted into the Arkansas Women’s Hall of Fame in August.? Today Dr. Elders serves on the UAMS Foundation Fund Board, the Arkansas Children’s Research Institute Board, and University of Minnesota Program in Human Sexuality Advisory Board, Church & Dwight Inc. Sexual Advisory Council and the National Center for Healthy Housing Advisory Board. David Satcher, MD, PhD is a physician-scientist and public health administrator with an extensive track record of leadership, research, and community engagement. He is a Phi Beta Kappa graduate of Morehouse College and holds MD and PhD degrees from Case Western Reserve University, where he was also elected to Alpha Omega Alpha Honor Society. 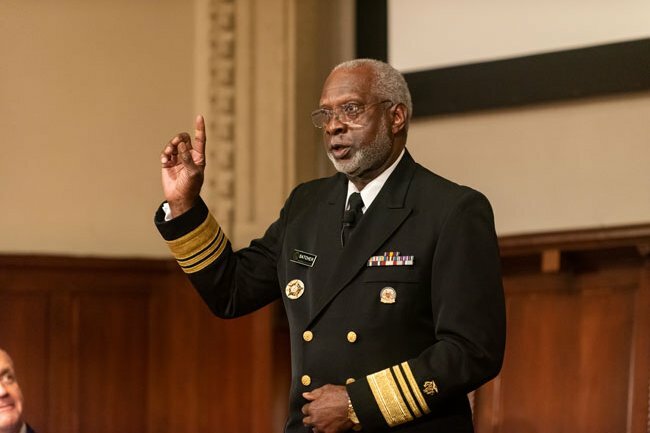 Dr. Satcher served as the 16th Surgeon General of the United States (1998-2002) and the 10th Assistant Secretary for Health in the Department of Health and Human Services (1998-2001). He also served as Director of the Centers for Disease Control and Prevention (CDC) and Administrator of the Agency for Toxic Substances and Disease Registry (ATSDR). Dr. Satcher has also held top leadership positions at the Charles R. Drew University for Medicine and Science, Meharry Medical College, and the Morehouse School of Medicine. He has received over 50 honorary degrees and has received numerous awards from diverse organizations and agencies. Currently, Dr. Satcher is the Founding Director and Senior Advisor for the Satcher Health Leadership Institute at the Morehouse School of Medicine, Atlanta, Georgia. Born to a poor Hispanic family in New York City, Dr. Carmona experienced homelessness, hunger, and health disparities during his youth. The experiences greatly sensitized him to the relationships among culture, health, education and economic status and shaped his future. After dropping out of high school, Dr. Carmona enlisted in the U.S. Army in 1967. While serving, he earned his General Equivalency Diploma and went on to become a combat-decorated U.S. Army Special Forces Vietnam veteran. 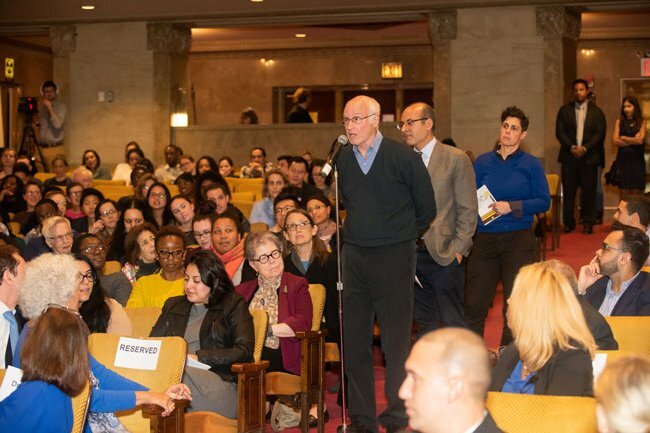 After leaving active duty, he attended Bronx Community College of the City University of New York through an open enrollment program for veterans. He received an associate of arts degree. He then attended the University of California, San Francisco, where he received a Bachelor of Science degree (1977) and medical degree (1979). At the University of California Medical School, Dr. Carmona was awarded the prestigious gold-headed cane as the top graduate. Public health came as a second career after Dr. Carmona went back to graduate school at night while working in order to complete a master’s degree in public health at the University of Arizona. His interest in public health stemmed from the realization that most of his patients’ illnesses and injuries were completely preventable. Also during this time, at the request of county and state leadership, Dr. Carmona became CEO of the failing county hospital and health care system. Appropriate measures were then taken to make the hospital and system competitive again and eventually combined with the University of Arizona under a business plan authored by Dr. Carmona. Dr. Carmona has served for over 32 years with the Pima County Sheriff’s Department in Tucson, including as deputy sheriff, detective, SWAT team leader and department surgeon. He is one of the most highly decorated police officers in Arizona, and his numerous awards include the National Top Cop Award, the National SWAT Officer of the Year, National Tactical EMS Award and numerous awards for valor and service. Dr. Carmona is a nationally recognized SWAT expert and has published extensively on SWAT training and tactics, forensics, and tactical emergency medical support. Dr. Carmona has also served as a medical director of police and fire departments and is a fully qualified peace officer with expertise in special operations and emergency preparedness, including weapons of mass destruction. In 2002 Dr. Carmona was nominated by the president and unanimously confirmed by the United States Senate to become the 17th Surgeon General of the United States. Dr. Carmona was selected because of his extensive experience in public health, clinical sciences, health care management, preparedness, and his commitment to prevention as an effective means to improve public health and reduce health care costs while improving the quality and quantity of life. 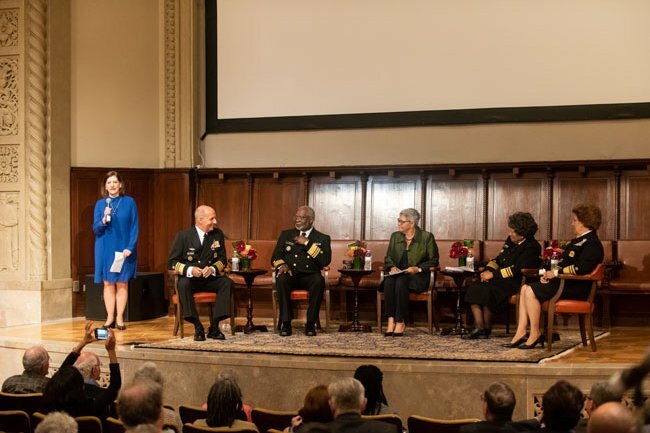 As Surgeon General, Dr. Carmona focused on prevention, preparedness, health disparities, health literacy, and global health to include health diplomacy. He also issued many landmark Surgeon General communications during his tenure, including the definitive Surgeon General’s Report about the dangers of second-hand smoke. Dr. Carmona has published extensively and received numerous awards, decorations, and local and national recognitions for his achievements. A strong supporter of community service, he has served on community and public and private national boards and provided leadership to many diverse organizations. 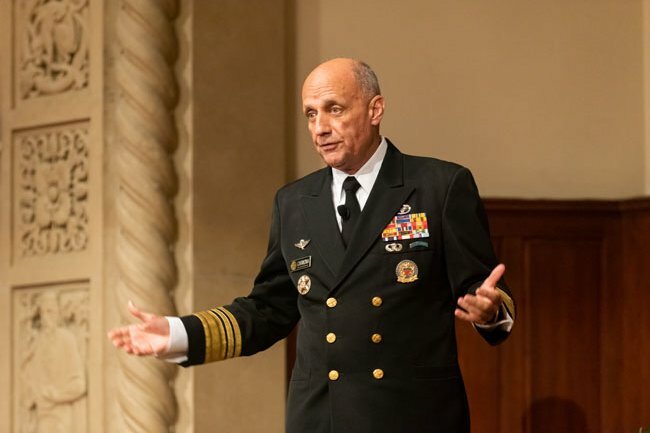 In 2006, Vice Admiral Carmona successfully completed the statutory four-year term of the U.S. Surgeon General and was named to the position of vice chairman for Canyon Ranch. He also served as CEO of the company’s Health division and president of the Canyon Ranch Institute. Dr. Carmona continues his Canyon Ranch leadership role as the Chief of Health Innovations. 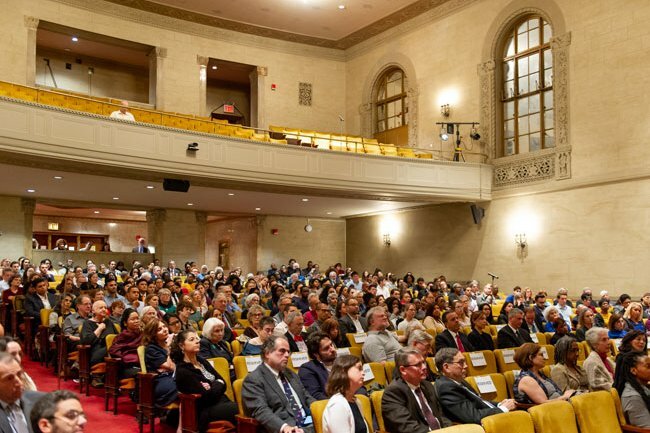 The Academy is pleased to offer a new and exciting lineup of fall events this year. 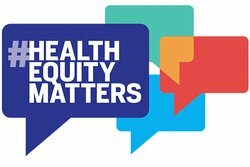 Our “Talking Health” series brings together leading experts and influencers for important conversations about critical health issues. Join us for lively discussion and insights into the past, present, and future of health.